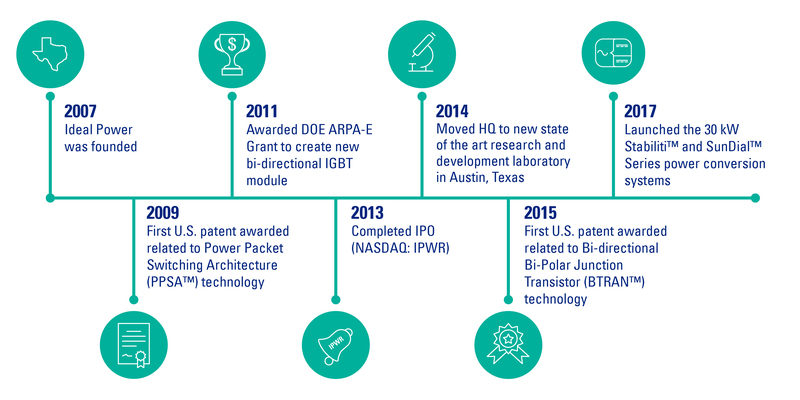 Ideal Power (NASDAQ: IPWR) is a power conversion technology company that delivers innovative cleantech solutions to system integrators and project developers, enabling distributed energy resources for applications both on and off the grid. Our products deliver superior reliability and compelling return on investment for renewable energy and storage applications at a competitive cost, backed by first-rate customer service. When people think of innovators in Austin, they usually think of IT or music. There is another equally important revolution in energy technology taking place right here in Austin. Ideal Power is transforming the new energy economy with a completely new approach to power conversion. Our advancements in technology are creating a better world by enabling the delivery of reliable, affordable energy for everyone. What starts in Austin has the power to change the world. Ideal Power has been granted more than 80 patents in the U.S., Europe, China and other countries around the globe, with additional patents pending. We continue to aggressively pursue intellectual property protection for our current and future technologies to maintain our leadership position in the industry. Dr. Bell is a leading expert in the development and mass production of high reliability electromechanical systems and solid state thermoelectric products. 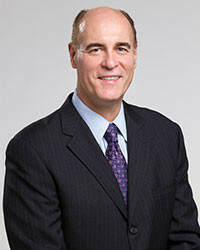 Dr. Bell founded Amerigon Inc, now Gentherm (THRM) in 1991. He served as its Chairman and CEO from 1991 to 2000. He also served as CEO and President of BSST LLC, an Amerigon subsidiary from 2000 to 2010. Previously, he co-founded Technar Inc, which developed and mass produced automotive airbag crash sensors, and other proprietary electromechanical components. He served as its Chairman and President until its sale to TRW Inc. He also co-founded Mahindra REVA Electric Vehicle Co Ltd, an Indian electric vehicle manufacturer, in 1994 and served as its Vice Chairman until 2015. 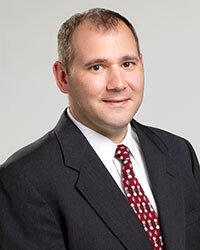 He was appointed CEO and President of Ideal Power Inc. in April 2018. He currently is on the board of directors of ClearSign Combustion (CLIR) and CDTI (CDTI). He is Chairman of the External Advisory Board for the Mechanical and Civil Engineering Departments at the California Institute of Technology. Dr. Bell received his BSc. in Mathematics, MSc. in Rocket Propulsion, and Ph.D. in Mechanical Engineering from the Caltech. 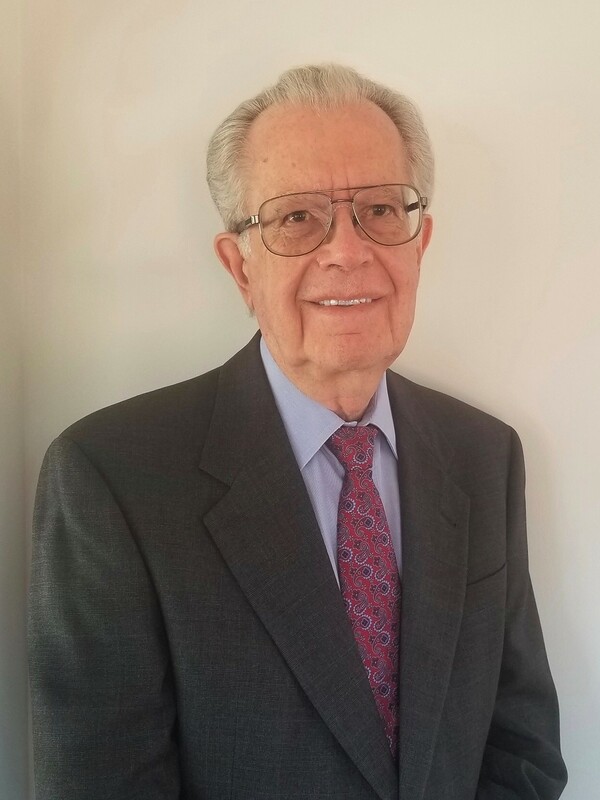 He has authored more than 20 publications and received more than 30 US patents in the areas of thermoelectric systems, automotive crash sensors, and related electronic and electromechanical devices. Five of his inventions have gone into mass production and dominated their target markets. Mr. Brdar has over 25 years of experience in the power systems and energy industries and has held a variety of leadership positions during his career. From 2012 through April 2018, Mr. Brdar served as President and CEO of Ideal Power Inc. From 2006 through 2011, he was President and CEO of FuelCell Energy Inc., a NASDAQ-listed company with a market cap of over $250 million. During his tenure, the company’s revenues increased 235%, to $100 million, manufacturing production increased by over 200% and over $100 million was raised from institutional and strategic investors. Prior to joining Ideal Power Inc., Mr. Brdar served as the Chief Operating Officer of Petra Solar, a privately held, venture funded solar and smart grid company, where he held full P&L responsibility and led a cross-functional management team across several international markets. From 1997 to 2000, Mr. Brdar held management positions, including Gas Turbine Product Manager, for GE’s Power Systems Division, a world leader in power generation systems and products. Additionally, Mr. Brdar has extensive research and development experience at the U.S. Department of Energy through various roles at the National Energy Technology Laboratory in Morgantown, WV and Pittsburgh, PA. Mr. Brdar has a BS in Engineering from the University of Pittsburgh. Mr. Burns previously served as CFO of Rainmaker Systems, a publicly traded global e-Commerce software company. Prior to Rainmaker Systems, Tim held various finance and accounting roles at Dean Foods Company, a member of the Fortune 500, after beginning his career with Deloitte & Touche. Tim received a B.S. in Accounting from the University of Southern California and a Master’s degree in Professional Accounting from the University of Texas. © Copyright 2016 Ideal Power, Inc. All rights reserved.